Growing up in the south it's an unspoken rule that summer simply can not actually commence until you've added a new pair of Lilly Pulitzer shorts to your closet. Below are some of my favorites that are currently available. OMG! Congratulations, Anna! That's so exciting :) You totally deserve it too. 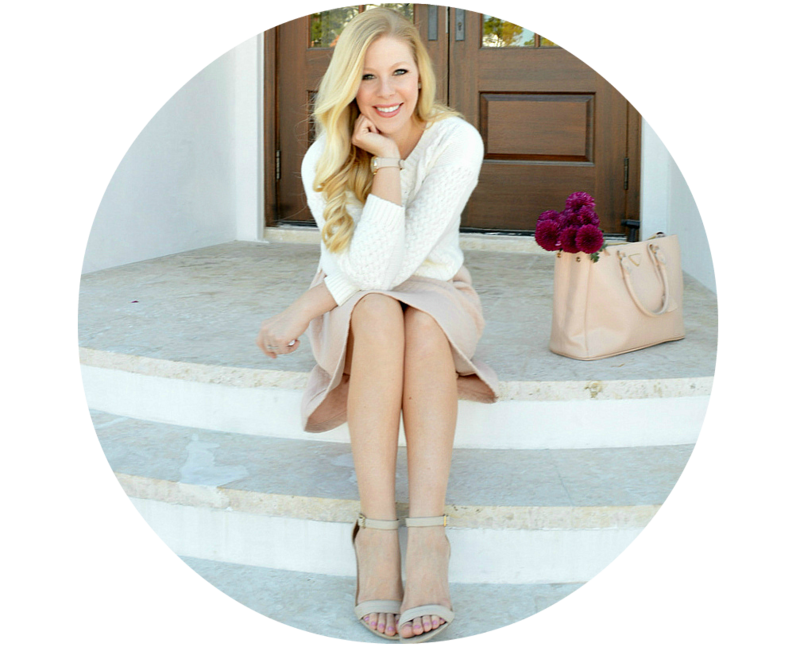 Love your blog and your style! Stunning colour combination! You look bright! Today I show you a Rock touch look....with a lot of energy. Wow. Congrats to you! Vanity Fair is the BIG LEAGUES! It's bigger than Glamour. Love your shots and this outfit! Congrats! This is a major achievment! Congratulations :) I can't wait to see that!! I love this look...the way you combine this two patterns is amazing. Wow!! A huge congratulations to you, you totally deserve it. I'm so glad that the readers of Vanity Fair are going to earn about the fashion blogger we all love! I love your outfit, the sailboat shorts are so cute. I actually wore a very similar outfit in my blog today, too! I just love mixing prints! Congratulations on the feature, that is so amazing! I can't wait for the issue to come out! Congrats!!! Love the location that you took your pictures. You OK amazing in these perfect summer shorts. What a fun print. Congrats on the VF feature...that's so exciting!! Oh wow! Congratulations on the feature , you deserve it, can't wait to see all about it! Back to the outfit, those shorts are so much fun! Congrats! That's so exciting, plus I love this outfit! These shorts are adorable, I really want to raid your closet! Congrats lady!! Those shorts are so fun! I adore your shorts in these pics, so cute!! I'm a new fashion blog, come check me out! Anna, that's so great! You deserve it. You're amazing!!! 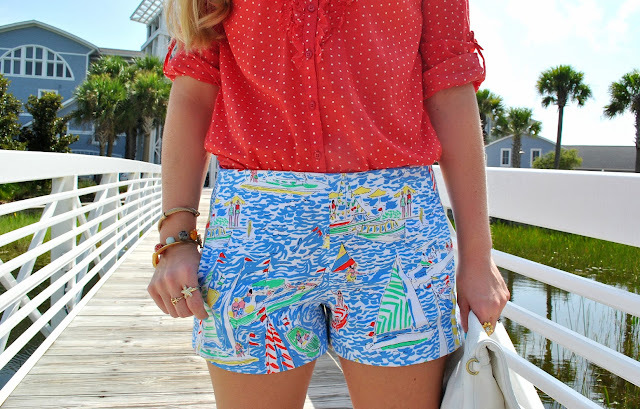 I love your Lilly shorts, I noticed them in the feed picture and almost squealed. You look great in them! congratulations! can't wait to read it!! That is amazing and so well deserved!!! Congratulations! That would absolutely feel like a dream or "pinch-me" moment. So great! Also, that outfit could NOT be any cuter and more perfect for summer. Congratulations!!! That is such an accomplishment!!! Love your shorts too!! AWESOME girl!! LOVE the outfit! CONGRATS!!! 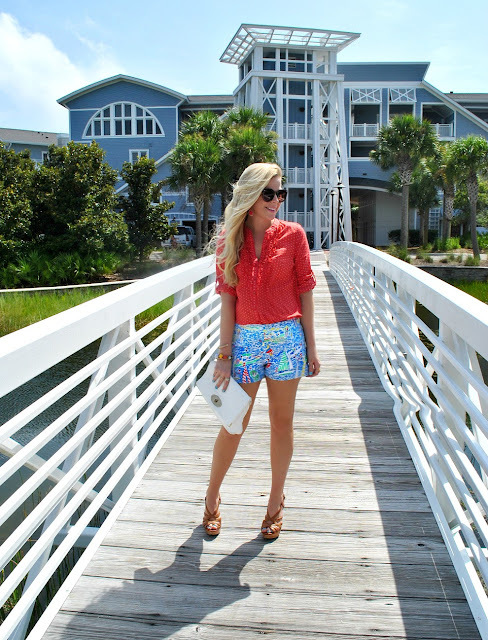 oooh whatta fun summer look; adorable shorts! OMG that's so amazing! Congrats! You look lovely as ever! Love this outfit! Cool rings also! That is so amazing, congrats. You deserve it! Love those adorable shorts on you. Ekkkk, SO excited for you!!! I cannot wait to pick up the issue. You deserve it, you're fabulous! I love this look, the mixing of patterns and prints! Love those shorts! and congrats that is so exciting! That news is UNREAL!!!! Congratulations! That is so amazing and I am so happy for you! Can't wait to see the issue! 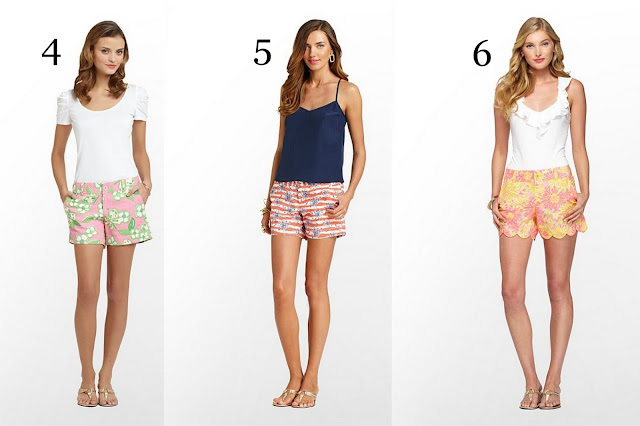 I also adore this look and want all 6 pairs of those shorts. Ha! Wow! That is beyond cool!Congratulations. I suppose I am not bold enough in my fashion, because I would not wear those shorts. However, I currently do not own any shorts because I don't like the backs of my thighs, so what do I know. Congrats!! 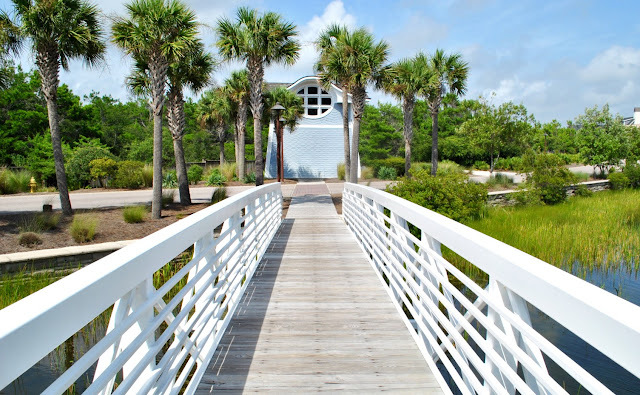 Can't wait to see where this project takes you to! Congratulations! That is amazing. Love this outfit <3 too cute! Congratulations! Loving the mix of prints and patterns in this look. FABulous accessories, too! Congratulations :) You deserve the press! Congratulations!!! Your style is inspiring! Thanks! Congrats! I haven't been following your blog long, but it's quickly become one of my favorites. I can't wait to buy the issue when it comes out. I adore those shorts on you they're so cute! Congrats on the feature!! What an honor! I'll be sure to keep my eye for it! Congratulations - that is so amazing! And I love everything about this outfit. It's so summery! YAY congrats!!! That is amazing and I'm so happy for you! Love those shorts, perfect for summer! 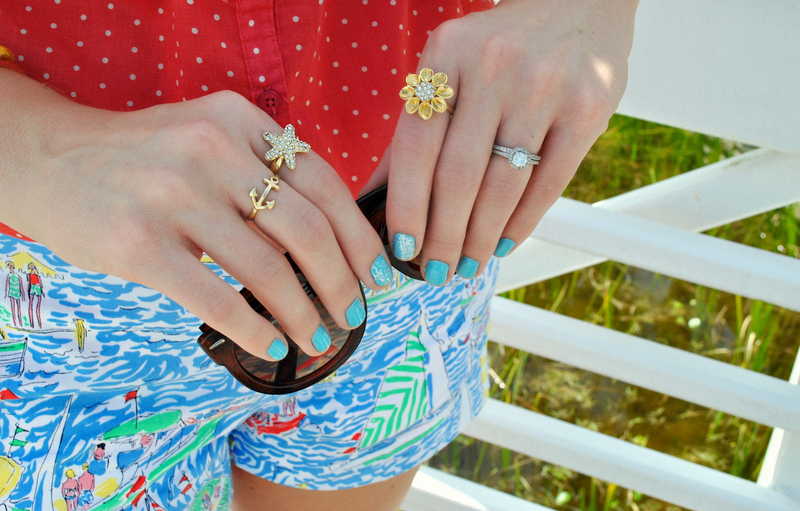 Love Lilly- one of my favorite preppy styles! Congrats on the feature, can't wait to see it!! And love the outfit, fun shorts and a cute polka dot top! Congratulations! And those shorts are super cute! 3. The location of these photos is gorgeous! Looking beautiful as usual! Congrats and can't wait to see the issue! Congrats on being featured by Vanity Fair - how utterly amazing!! This outfit is adorable as always and I love how you subtly mixed prints! love your outfit too! Rad shorts. Congratulation you deserves it, it's truly a great blog! Hey gal, just how awesome are you?? So happy for you! My boss's wife brings in copies of Vanity Fair for the office so I'll have to make sure she brings that one in early :o) Can't wait to see it! Congrats on getting a mention in VF!! 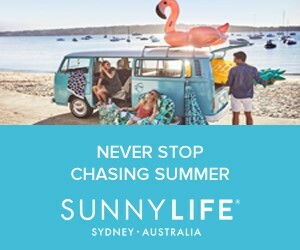 So exciting-I will be on the lookout for it :) also, I love the print on those shorts! Slightly abstract, slightly 80's inspired pattern but perfectly modern with your red top. Anna! You are as cute as can be. I am absolutely loving your shorts! WOW! How cool... you must be so excited! Well done! HOLY COW, that is SO exciting!! i can't wait to see you in it, congrats girl!!! This look is amazing and so fresh and sunny! Congrats on the feature in Vanity Fair!! Pray tell, what is your nail polish color? It is gorgeous! Also, your photoshoot locale looks so beautiful and serene (as always). This is a great look. 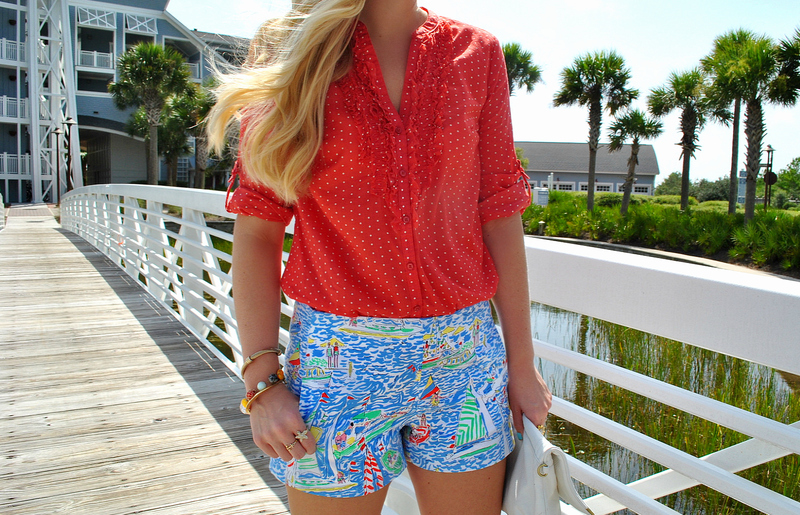 I adore the shorts! Congrats on your feature! So glad I came across your blog. This outfit is too cute. The polka dots look great with those cute printed shorts and your accessories are just icing on the cake. This is SO exciting! Congrats lady!! SOOO deserved :) Can't wait to see the feature! OMG hon you totally pulled this outfit well! You're pretty! Let me know if you want to follow each other! Congratulations on the feature Anna.....you so deserve it!!! It's so nice to be back here at your blog after quite a while & I'm so amazed with your blog redesign....& of course you & your outfits are always dreamy as ever!!! Congrats on the Vanity Fair gig! That's incredible- not surprising though since your blog is so fabulous! Hi anna, you look so fabulous & really love your awesome fashion ideas.